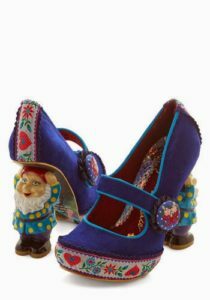 Gnome shoes and more gnome shoes. Did you know that was a thing? Neither did I. My friend Lydia found these and others at ModCloth. It is a great site – lots of fun things. I’m not sure who wears these shoes, but check them out for a little entertainment.